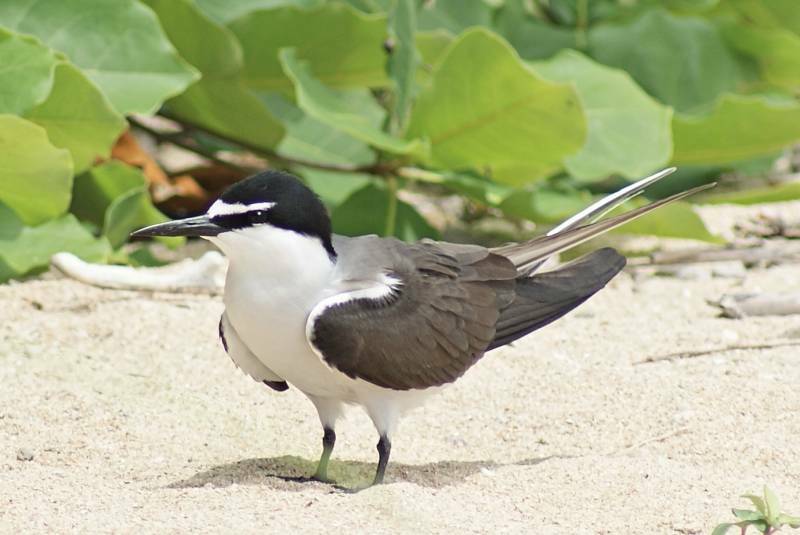 Bridled Terns occur across the tropical belt of much of the world and are found off the northern coasts of Australia. 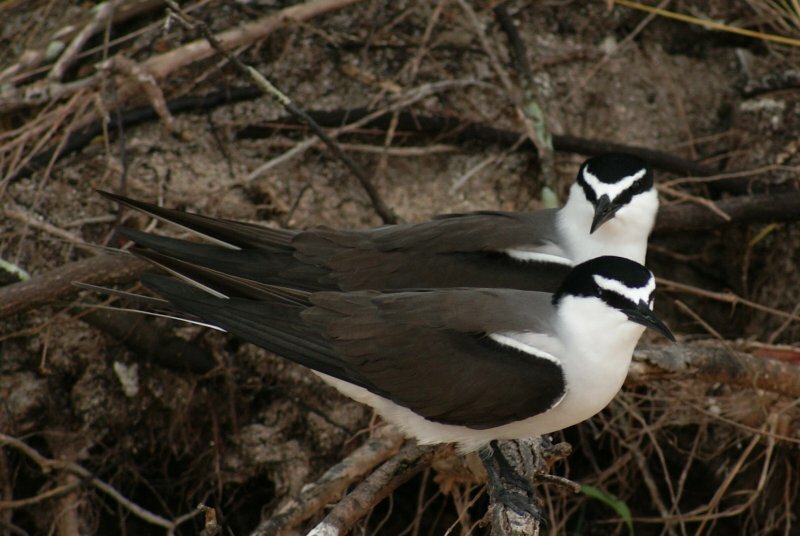 They are one of two dark terns of the genus Onychoprion, the other being the similar Sooty Tern, which is darker and has less of an eye-stripe. 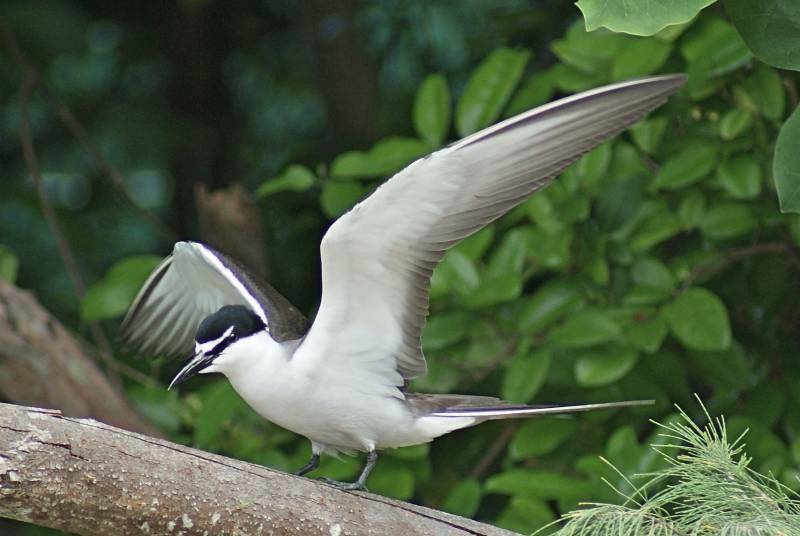 The length is 30-32 cm, slightly smaller than the Sooty Tern. These terns are unlikely to be found anywhere inland, unlike many other terns, which can occur in fresh-water regions.